The Brigade is a digital agency with a passion for user-centered design, great art and formidable technology. We create remarkable digital products and experiences. We're looking for a curious Senior Designer who thrives in a deeply collaborative environment. You obsess over beautifully crafted experiences, love solving challenging problems, and diving head first into something new. You have a diverse background and your skills extend from digital through to print and typography. You build meaningful relationships with your co-conspirators that bring ideas to life in ways that are more incredible that any of us could have imagined. What you’ll do: Deliver thoughtful, beautifully executed design solutions for The Brigade’s clients Develop a deep, conceptual understanding of the client, their customers, and needs. Stay curious, be brave, and always bring a positive energy to the team. Solve complex problems and always be willing to jump in and help your team Work with team leads to draft creative briefs, and become the primary owner and executor of the brief throughout the program Uphold quality standards of all creative deliverables and projects Stay on top of trends and have a keen eye for where they should be explored or avoided Requirements A strong portfolio of work that shows your craft and problem solving skills Excellent written and oral communication skills Experience presenting work to clients An ability to work independently and collaboratively Expert chops with Sketch, Invision, and Adobe Creative Suite . Attention Senior Backend Developers: “Skyrocket Your Career As A Developer In The Dream Work Environment – By Joining This Leading Online Photography Resource!” You’ve finally found it… The perfect work environment to skyrocket your career as a developer. If you’re a talented, experienced and ambitious backend developer, then this page could literally change your life! But only if you keep reading. iPhone Photography School is the world’s no. 1 online photography resource. To stay at the top, we need to be excellent at everything we do, including development. On the surface, our development needs look simple, but there's a lot more going on behind the scenes. In fact, our business is built upon complex development solutions that we've created from scratch. Right now, we’re looking to expand our team with the best people so we can achieve even more. To attract the most capable developers like you, we’ve created the dream work environment for building your career. 8 Reasons To Build Your Career As A Developer At iPhone Photography School 1. Solve Interesting Problems Most of our development solutions are built from scratch and are customized to our needs. This includes our payment and upsell system, our online learning platform and iOS app, and our proprietary algorithms that decide how millions of dollars are spent on Facebook ads. We have an AWS server set-up with load balancers, we use Docker and Circle CI for continuous integration, and we’ve got automated testing for everything. The point is, you’ll never be bored working here. 2. Work With A Clean Codebase Tell me if this sounds familiar to you: a nice piece of code you’re trying to push seems to be breaking a different part of the system. As you open the problematic code, the first words you utter are “Who the **** wrote this?” We don’t work like that. We spent all of 2017 to clean up our codebase and rarely will you find better kept code. If we touch one part of the system, we make sure it still integrates perfectly with the rest. This long-term approach saves you a lot of frustration and lets you focus on the problem at hand. 3. Endless Opportunities To Grow You love being a developer because you experience growth every single day. Each completed task comes with an exciting feeling that you’ve learned something new. This rush makes you want to jump on the next assignment and continue growing. We get how important growth is for developers. Want to master a new framework, tool or expand your skill set (e. g. , learn about AI and deep learning)? Find the appropriate online course and we’ll pay for it. Want to use your new skills for real life solutions? We’ll encourage you to do it. 4. Get Expert Guidance Our developers are ninjas. But we don’t expect them to know everything. Even the best developers sometimes need expert help to complete the most challenging tasks. If there’s something outside of our team’s comfort zone, we provide them with experienced mentors in the particular area. Besides that, you can always get help from other people on the team. They know how to achieve almost anything with code. Join our team, and you’ll get guidance from the top experts in the business. 5. Stay In Control Over Your Own Time Have you ever experienced this situation: your boss angrily asks you about a feature that had to be launched already… while you had no clue it was a priority? You abandon all other tasks and end up working late in the evening to ship the feature – only for a new urgency to come up the next the day. . . And this cycle repeats itself again and again. We do things a little differently. Because we use the scrum methodology, our developers know everything they’ll have to do in any given week in advance. And we stick to our plans. This means you can schedule your time however you want, as long as you get the job done. 6. Work From Anywhere In The World We understand that the best developers like to work on their own terms. So you can do this job from anywhere in the world – including your home, our office in Latvia, or any paradise location! If the initial collaboration turns out to be successful, our company will pay for a week-long trip to Latvia where you’ll meet the rest of our team and get acquainted with our company culture. 7. Stability You Can Count On Most startups have huge ambitions - and little or no revenue. If you've spent months or years of your life in an exciting new company that never really takes off, you already know how frustrating that can be. Rather than burning investor money, iPhone Photography School is highly profitable and our growth is funded from our own revenue. We had explosive growth last year, and we will 2X our business again in the next 12 months. You don't have to worry about the company running out of money. 8. Millions Of People Will Use Your Code Helping others is one of the most rewarding things you can do in life. While this is something that everyone should practice in their daily life, you can also do it while earning a living. During the last 30 days alone our website has been visited by 2,063,297 different people, and this number is increasing rapidly as our impact continues to grow. Your work will help millions of people take better photos and capture the beauty of the world. Here’s What We Expect From You… You’re excellent at PHP You’ve worked with Laravel, Rest APIs and LEMP You've worked as a full-time developer for at least 3 years You have a proven track record in building reliable IT systems You want to participate in scrum teamwork You have an excellent attention to detail Please only apply if you meet all these criteria. Other applications will not be considered. Click Here To Apply If you delay submitting your application, someone else will be hired before you. .
Netlify is changing the way people build web projects, and people seem to like it! We are a growing team of talented, thoughtful, and diverse people rapidly shipping features to our customers. We're looking for a Senior Communication Designer. As an early member of our Design team, you'll have a big impact on our visual identity, voice and tone, team culture, and our future. What is my role? You'll master the visual tone of Netlify's marketing communications across web and other mediums, pushing it to the next level as our visual presence evolves. You'll craft intuitive user journeys and visually compelling layouts for our public facing web properties. You'll identify new opportunities to make an impact through design and envision brand-new concepts. You'll collaborate closely with other departments (especially marketing and product teams), facilitating communication on projects you lead. You'll contribute to building team-wide processes and practices to help our team grow. What are the requirements? Here's what we need to see from you: experience producing high-quality websites in a team design environment for marketing software products. can craft stunning design comps and build out functional prototypes of your work in code. effectively combine messaging, layout design, and illustration to communicate a compelling visual story. work well in a sprint-based environment, shipping with an iterative mindset, balancing projects and priorities to meet deadlines. have strong written communication skills and are able to clearly communicate your intentions and present your ideas. have a healthy relationship with feedback, and you know how to effectively elicit it from a design review session. have at least a basic understanding of how modern web technologies work and are used by our customers. pay attention to detail, and you will add your favorite emoji in the first name input field when applying. 😉 both embrace constraints and imagine new possibilities. observe trends in the design community and care about where the industry is headed. lead by example, seek to understand through active listening and questioning, actively address problems you identify, and assume responsibility for your work. if remote, can work hours that at least overlap for a portion of your day with The Pacific Time Zone How can I really impress you? Bonus points if you: have designed for marketing developer tooling products. he used and contributed to visual design systems. he worked in a Sketch + Abstract based workflow. get excited about web development and are opinionated about front-end technologies. are comfortable working in a GitHub based collaboration workflow. are familiar with static build systems like Jekyll or Hugo, or front-end build tools like Webpack, Gulp, Grunt, etc. have worked on themes for CMS systems like Wordpress or Shopify. To apply for this opportunity, please provide a resume, cover letter explaining why you are interested to work with us, and a link to your portfolio website. As part of the interview process, be prepared to present a previous project you were responsible for. We will be particularly interested to see how you approach problem-solving, decision-making, and design process to understand how you arrived at your final design decisions. We can't wait to meet you! 🎉 What is Netlify all about? Netlify is a platform for developers to build, deploy, and manage modern web projects. Basically, it's an easy to use backend for your static website. We aim to perfect a unified platform that automates code; creating highly-performant sites and web-apps. Users should be able to simply push their code and let us take care of the rest. We have been building Netlify since 2015. About half of our 30+ member team works remotely, and we are serving over 280,000 developers who use Netlify around the globe. Netlify is proud to be an equal opportunity employer. We are committed to creating a diverse and inclusive environment. All applicants will receive consideration for employment without regard to race, color, religion, gender, gender identity or expression, sexual orientation, national origin, genetics, disability, age, or veteran status. .
YNAB makes friendly, high quality software that changes lives through effective budgeting. We’ve got an ecosystem of apps, live classes, and stellar support. Now we need our next visual designer to bring the same attention to detail to our branding, marketing, and educational materials. You come to the table with some experience under your belt. You know how to expand and maintain meticulous brand guidelines. You catch color mismatches that are mere shades off, you bristle at poor kerning, and you know that good design is in the details. You love to draw, and can create masterpieces with the pen tool. You also love to dream and get that our dream is to build a brand that is fun, smart, and approachable. Requirements (these are real, actual requirements): At least two years of experience working in marketing design. Experience working within strict, existing brand guidelines. Experience creating vector illustrations. Experience doing time-sensitive production work. Experience designing for responsive web. Ability to work and communicate effectively in a remote environment. Your home base must be located +/- two hours from North American Central Time. A Bit About Us We build the best budgeting software around, YNAB or “You Need a Budget” if you have a lot of extra time on your hands. For more than a decade, people have been buying YNAB and then telling their friends what a difference it has made in their lives. (Google us, or read some of our reviews on the app store, and you’ll see what we mean. ) We love building something that has a huge positive impact on people’s lives. We’re profitable, bootstrapped, and growing. YNAB started in 2004 and we haven’t taken any outside funding—we’re in it for the long haul. We have one overarching requirement when it comes to joining our team: our Cultural Manifesto has to really click with you. If you’re nodding emphatically while reading it, you’ll probably fit right in, in which case, we can’t wait to hear from you! First, let’s talk about life at YNAB and then we’ll go into detail about what we’re looking for. Who you’d be working with: Todd, our Chief Strategy Officer, obsesses about continuously improving our products and experiences our users have in them—and knows that process begins with design. He’ll have any conversation where he has the chance to learn something, and enjoys ideas for their own sake. He likes long gaps of silence and very loud music, running ultramarathons, and wants to disappear someday to make hand-crafted furniture. Lindsey, our Chief Marketing Officer, is in charge of getting the word out about YNAB, and always finds a fun way to do that. Like our YNAB mix-tape, where-in she wrote and re-recorded budgeting-related lyrics to pop-songs. (We suggest reading the rest of this description while listening to that album. ) Lauren is our illustrator/designer. She is single-handedly responsible for almost all of the illustrations you see on our blog/Facebook/Instagram posts, _and_ might be single-handedly responsible for all of the WoW achievement points mentioned on our About Page. We should also mention that she designed and illustrated that page. So yeah, her list of awesome just keeps going and going. Oh, and she writes fantasy novels. Seriously. How You’ll Work at YNAB We work really hard to make working at YNAB an amazing experience. We have a team full of truly exceptional people—the kind you’ll be excited to work with. Here’s how we operate: Live Where You Want We’re a distributed team, so you can live and work pretty much wherever you want (for this particular opening, there are some time-zone requirements). Proximity doesn’t influence productivity. Just make sure you have a reliable internet connection. No Crazy Hours We rarely work more than 40 hours per week. There have been a few occasions where things got a little crazy and people had to log some extra hours. But then they took some extra time off, so it all balances out. We work hard and smart but we’re in this for the long haul, no need to go crazy on the hours. Take Vacation (Seriously) We want you to take vacation. In fact, we have a minimum vacation policy of three weeks per year. Something closer to five is about right. Plus we take two extra weeks for a Holiday break. It’s important to get out and do something. We’ll look forward to seeing pictures of your vacation in our internal chat room, creatively named #office_wall. The YNAB Meetup We get the teams together once a year to catch up on spreadsheets and powerpoints in a Best Western conference room. Just kidding. So far, we’ve done Costa Rica, a gigantic cabin in the mountains, a beach house in the Outer Banks, and a ranch on Montana. We do really fun things, but the highlight is always just hanging out together and having a blast. Up Your Game We’re serious about helping you improve your craft. We budget for it (hey-o!). We have a monthly book budget, send people to conferences, give dedicated time away from work to learn something new. . . it’s really up to you and your manager. But we love to see our people growing. International is Absolutely Okay If you are Stateside, we’ll set you up as a W2 employee. If you’re international, you’ll be set up as a contractor. Employee or contractor, it’s all the same to us. You’re part of the team. We are spread all over the world, but for this particular position, we have a strong preference for candidates located +/- two hours from North American Central Time. If You’re Stateside… YNAB offers fantastic health, dental, and vision insurance, where we cover 100% of the premium for you and your family. (No need to check your vision, you read that right, 100%. Although if you did need to check your vision, NBD, we’ve got you covered!) We also have a Traditional and Roth 401k option. YNAB contributes three percent whether you choose to throw any money in there or not. It vests immediately. (Are you a personal finance junkie like our founder Jesse? He set up YNAB’s 401k to have the lowest fee structure possible, where all plan costs are paid by YNAB, not your retirement nest egg. The investment funds available are fantastic, passively-managed, ultra low-cost index funds. You’re not a PF junkie? Why then, did you muddle through all of that awesomeness?) Other Tidbits Once you start, we DEMAND (in a friendly, ALL CAPS IS YELLING way) that you fill out your “Bucket List” spreadsheet with 50 items. (That’s harder than it sounds!) The bucket list really helps in deciding what we should give you for your birthday and Christmas: No gift cards here. We tried that. Super boring. We have a bonus plan based on profitability. You’ll be in on that from day one. YNAB wins, you win. That kind of thing. We’re all adults. There’s no need to punch a clock, or ask for permission to take off early one afternoon to go see the doctor (health insurance premium 100% covered!). We look at what you’re accomplishing, not how long you sit (have you tried standing?) in front of a computer. We want you firing on all cylinders so we’ll set you up with a shiny new computer and replace it every three years. Did I mention we make a huge, positive difference in people’s lives? You may not think that matters much, but then a few months down the road you’ll realize it’s made your job really, really enjoyable. Don’t underestimate this one! If this sounds like your ideal environment, read on because now I want to talk about you. You will play a big, big part in helping the YNAB brand come to life and reach wider audiences. I’ll only say that six more times. Now, back to you, our new Visual Designer. . . As a visual designer at YNAB, you’ll live on two teams. You’ll be a prized resource for our marketing team, churning out ads, landing pages, and illustrations while maintaining the YNAB brand. As a member of the design team you’ll work alongside both UI/UX designers and visual designers to consistently improve the quality of visual design across the YNAB ecosystem. You will be our boots on the ground, protecting our brand with your pixel-perfect attention to detail. What Success Looks Like: The marketing team marvels at your ability to think big and execute quickly on the smallest of tasks. You roll up your sleeves and deliver what’s needed, sometimes before the marketing team asks for it. Other designers can’t stop praising you for your museum-worthy artwork and strict approach to file management. You’ll probably make our CEO cry from time to time. Our campaigns are so beautiful he can barely look at them without bringing out a tissue. You also make us laugh. We like to laugh. You take direction from multiple teams, and communicate freely. You understand that great communication and time management is critical to your success in a remote work environment. When you say it will be done, it will be done. Your teammates don’t even have to think about it. You know a great designer loves the very smallest parts of the job. Some call it pixel pushing. Others call it production work. We call it craft. You love tweaking your designs in the browser and communicate easily with developers, including in HTML and CSS. Because that’s how it’s done. Finally, the success of a designer at YNAB hinges upon the ability to approach design as holistic problem-solving for both creative and business goals. We work collaboratively here and you’ll listen to (devour, really) ideas, questions, and critiques from teammates with grace and patience. That said, you know your stuff and can eloquently and logically explain design decisions. You see this type of exchange as critical to the success of yourself and our company: it is through sharing ideas and being open to the brilliance of others that we arrive at the best solutions. Bonus Points: You already use and love YNAB. You have experience with animation and/or know how to prepare artwork for rigging. How to Apply Apply below by 11:59pm on August 19th, 2018. It’s a firm deadline. Attach a PDF of your cover letter. In your cover letter: Introduce yourself and explain why this position is of interest to you, and why you would be a great fit. We love a designer with a perspective. What’s yours? Feel free to touch on your beliefs on how design should be done, what it’s used for, or why it’s important. If you have a prepared resume, attach it in PDF form. If you don’t have a resume because you aren’t even sure you’re looking to change jobs, that’s fine! An informal list of your work and education history are all we’re looking for. Please include a portfolio that contains the following (if you are linking to an online portfolio, be sure to include the details below in your cover letter): Examples of design work. Your design process (wireframes, interviews, sketches). Links to any live work. Please state the role you played on each project and specify if certain artwork used in a design was not created by you. The Portfolio: Note: We greatly appreciate receiving work as a personal portfolio website, Dropbox folder, or PDF. Please do not send a Behance or Dribbble link unless you cannot do otherwise. Include: Examples of marketing campaign content, landing pages, ads, and other assets. Examples of vector artwork you have created. Any style guides, brand documentation, or UI kits you have produced. Examples of responsive web design. Please include personal work only if LABELED AS SUCH. We prize real work with real stories over perfect spec work. P. S. If you’re not interested in or available for this position, but know someone who is, we would really appreciate it if you passed this along! The deadline for applications is 11:59PM on August 19th, 2018. Firm. It’s a real deadline, the kind you love. . Web Strategists advance account growth and acquisition (sales) by applying a sophisticated understanding of 10up's capabilities to client and prospect business goals, buttressed by superior communication, attention to detail, and ownership of company sales goals. Responsibilities Communicate with prospective clients via calls, video conferencing, and in-person sessions to understand goals and define strategic and tactical plans aligned to their needs and 10up strengths. Write, edit, revise, and complete compelling emails, proposals, and other documents to drive prospective and current clients buy in to 10up's strategies and approaches. Negotiate client goals, constraints, and 10up resourcing and delivery standards to create detailed contracts, proposals, and project plans that set 10up and its clients up for success. Support and grow client relationships via regular check-ins and collaboration with client and production teams; complete all related deliverables necessary to ensure outstanding client service in a timely and insightful manner. Maintain accurate, timely, and detailed documentation for deals, client relationships, and projects. Successfully manage and grow relationships with partners in hosting, technology, and related areas. Requirements Experience with and passion for building websites (or other platforms using web technologies). Experience with and knowledge of web content management systems (CMS), preferably WordPress or similar open source platforms. Experience producing client agreements and proposals. Knowledge of common metrics for digital media success and popular tools and mechanisms for measuring success (e. g. Google Analytics). Outstanding written communication. Outstanding verbal communication. Outstanding collaboration skills, inspiring consensus and collaboration from varied internal and external stakeholders. Passion for helping clients and prospects move from concept to execution by matching their goals to 10up expertise. Comfortable networking and building new relationships on behalf of 10up. Willingness to take initiative and help with a variety of account service tasks. Nice to have Experience with core 10up disciplines, e. g. back and front end engineering, UX and visual design, ad strategy, and audience growth. A strong familiarity with the WordPress and web development ecosystem, e. g. knowledge of popular tools, plugins, frameworks, best practices, and conventions. Hands on experience building websites using PHP and WordPress. Experience with the digital marketing ecosystem of tools, e. g. Google Analytics, DFP. Experience with MS Office, Google Docs, Apple Pages, Apple Keynote, and Teamwork. 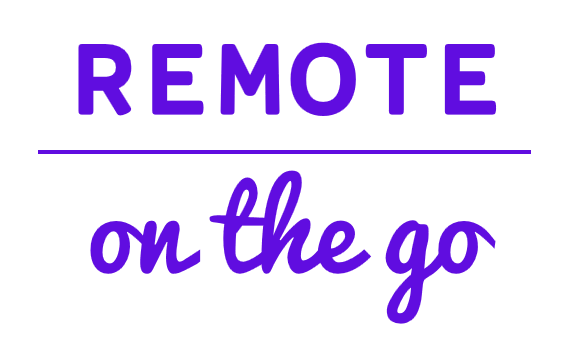 Remote working experience appreciated. .
Summary Vector Media Group is looking for a full-time Frontend Web Developer to join our team immediately. We’re a growing interactive agency of 40 people in Manhattan's Flatiron District with great clients (like Google, Airbnb, Twelve South, Etsy, The Associated Press, New York City, St. Regis, Columbia University, and WPP) and an incredible roadmap. You are: Obsessive about building great user experiences. Our in-house design team is tasked with coming up with creative UX, and they need developers that can keep up (you do not need to be a designer). Excited about the latest developments in page layout techniques (flexbox, grid layouts). Less concerned with breakpoints, and instead can build for any device, screen size, viewport, or orientation - and everything in between. Upset when you visit a page with unnecessary load time, cruft, obtrusive UI, or general disregard for the end user. Opinionated about frameworks and libraries, and know how to choose the right tool for the task at hand. Capable of working on a diverse range of challenging projects at once. Passionate about tooling, frontend automation, and build processes. Not afraid of contributing more than code - everyone at Vector makes presentations, leads meetings, and writes for our blog. An empathetic, caring, and emotionally intelligent human being - code monkeys need-not apply. We offer: A creative environment to do the best work of your career. An amazing team of developers, designers, marketers, project managers, and the occasional four-legged office pet. Lunch paid for by the company, every day, via your own Seamless/Maple accounts. Flexible hours. Flexible paid vacation policy. Health, Dental, and Vision insurance. Retirement plan with company matching. Perks and discounts from many stores and services-- cell phone bills, hotels, rental cars, gyms, etc. . . Join Us! If you’re interested please apply as soon as possible, attention Ben Smith. Examples of your real-world work are more important than a perfect resume. If you worked on a project with a team, please tell us which parts you were responsible for. .
About the Role We're looking to hire our first dedicated Product Designer to deliver simple, thoughtful, features and functionality for our global customer base. To achieve this you’ll: Gather the right information: Analyse internal data, lead user interviews and develop surveys to inform and validate product ideas. Define user flows and visual designs: Using tools like Sketch and InVision, you’ll design and iterate solutions for internal and customer review. Establish design systems: You'll establish and iterate design systems for our web and mobile applications. See concepts through to execution: Working collaboratively with our talented engineering and QA teams. Participate in product strategy discussions: You’ll collaborate on defining, documenting and refining features and functionality, bringing your own perspective and ideas to the table. Provide launch support: You’ll work closely with our Customer Success team to deliver assets and educate them on new feature rollouts. This is a 100% remote role. You’ll report directly to our CEO, who is based in Melbourne, Australia. About You You're particularly passionate about designing applications for business, enjoying the challenge of conveying large data sets in the simplest visual form. You're a great communicator, a talented writer, naturally curious and confident. You design with clear intent and you're always able to articulate your process and defend how you arrived at a decision. You have demonstrable experience in: Designing and prototyping solutions: Ideally you have a background designing for productivity or SaaS-based solutions. Sketch and InVision are at the top of your toolbox. Leading user research: Conducting user interviews, surveys and a range of low-fi data collection methods to inform your designs. Crunching the numbers: Completing quantitative research to support your design decisions from a variety of data sources such as Intercom and Google Analytics. Iterative development: You've worked in small teams consisting of product, engineering and QA in iterative cycles of two to six weeks. You have an understanding of HTML, CSS and front-end frameworks and don't mind opening up Developer Tools to get things just right. You're also comfortable with the modern processes and tools required to communicate with a fully-remote team and a global customer base. About Us We're the leading resource scheduling application for agencies, studios and firms. Since 2012, we've been helping teams in more than 150 countries keep track of who’s working on what and when including NASA, Vice, Buzzfeed and RGA. We’re profitable and 100% funded by our customers. Our small team includes members in the USA, Australia, India, Portugal and Ukraine. We encourage people of different backgrounds, perspectives and locations to enhance our team and deliver their best work. .
We are looking for an enthusiastic and self-driven Marketer who will be responsible for managing and growing our suite of design and development web properties. Although each website does have an established workflow and content framework in place, the successful applicant will have the freedom, tools and time to build the brands, improve content-direction, and explore new revenue opportunities. This completely remote role is a unique opportunity to bring all of your marketing skills together and put them to the test. Who are we? BuySellAds helps connect great brands with hard to reach audiences. We’re an adtech company empowering publishers and advertisers to connect more efficiently. Don’t let the “adtech” part scare you away: our mission is to help publishers better monetize their sites so they can spend their time focusing on what they care about (their content!) rather than selling ads. We leverage our tech to improve the experience for both sides along the way. We are a fully distributed/remote team, with 45+ people spread out across 30 cities in 6 countries. We connect weekly through a video stand up and talk constantly through Slack. We empower teammates to contribute meaningful results. We largely work around an EST schedule but are flexible. The Ideal Candidate Will take a publisher-first approach. Will have a problem-solving mentality. Will be naturally self-driven. Will embrace web technologies. Will be results-driven. Will be able to prioritize tasks. Will be able to work without supervision. Will be a team player. Will be great at communicating. Will be eager to learn new skills. Will be meticulous in planning. Will be self-motivated. Will not be afraid to experiment. Will be passionate about design. Your Responsibilities Organize and provide support to a team of freelance writers, designers, and developers. Plan consistent, fresh content that creative users and readers will love. Assist in the design, creation, and sending of email marketing campaigns. Create and schedule compelling social media content while maintaining best practices. Implement a rock-solid SEO strategy across all sites. Work directly with department managers in support of various business initiatives. Maintain an ongoing dialog with the Sales team, and explore any new business opportunities. Implement a marketing strategy and project management system for growth. Keep track of the latest innovations and trends in the creative industry. Maintain and build upon established business relationships. Track revenue, traffic and SEO targets, and action as needed. Plan and provide project management for any new web properties. Share any new revenue streams and ideas with the team. We do our best to make the hiring process fair and straightforward: we do an initial meet-and-greet Zoom screen, and follow with a team pairing to make sure our culture makes sense. We move quickly on decisions, and we aim to respond to every applicant and provide feedback where appropriate: even if we aren’t the right fit for each other, we want you to know rather than have to second-guess. . Think Company is looking for a broadly talented Senior UI designer to join our team. We work with our clients to envision, design, and create experiences that change people’s lives. We’ve also been named one of the Top Workplaces by Philly. com and one of the Best Places to Work by the Philadelphia Business Journal. If you share our values and have a portfolio that demonstrates your exceptional design skills, start a conversation with us by applying. Senior UI Designers on our team are well-versed in all aspects of experience design and take the lead on many responsibilities within our project teams. They help to create elegant solutions for complex problems, transform ideas into a concrete UI with a polished aesthetic, and prize clarity of communication over visual flourish. You can read more about how we work and get a glimpse at what it’s like to work with us. Traits you bring: A deep passion and proven ability to design useful digital experiences honed through 4 – 8 years of professional experience Evidence that you can create and extend a coherent design system A commitment to working as part of a collaborative team, providing team leadership when needed Pride in communicating your design ideas and process clearly A mastery of your design tools—apps and techniques alike A solid understanding of front-end development, technology, and accessibility Comfort establishing and maintaining relationships with co-workers and clients Top notch client consulting skills including the ability to present and defend ideas, formulate a case for an initiative, and build trust as an advisor Additionally, any product design experience would be great to highlight if you have it What you’d do: Define problems and solve them using an evidence-based rationale Synthesize research findings to develop a coherent project strategy Collaborate closely with your project teams and clients to create compelling design solutions for complex products or systems Think through UX challenges and create UI solutions that stand up to rigorous testing Establish a scalable and comprehensive design system for a project Work closely with development teams to ensure ideas can be brought to life Serve as a primary point of contact and valued consultant for our clients Apart from fulfilling work and working shoulder to shoulder with other amazing Thinkers, we offer a slew of perks to help you maintain a fulfilling and balanced life. Sound compelling? Feel like a match? We’d love to hear from you! To help the process along, tell us a bit about yourself and share some samples of your best design work. We are committed to diversity and especially encourage members of underrepresented communities to apply. Recruiters and staffing companies NEED NOT contact us and DO NOT have permission to contact candidates on our behalf. .
Every day, millions of people rely on WeTransfer to share their creative ideas. So, the work we do matters. Come and be a part of it. Our approach to design We believe that creative thinking is the driving force for humankind and we aim to build beautifully obvious tools that support your creative process. We’re humbled that the products and brand that we’ve built are used and loved by so many people – from our moms to your favorite artists. As we evolve and expand our product line up, the simplicity of our service will be challenged. It is our responsibility to design a coherent set of experiences that continue to feel obvious and intuitive, helping WeTransfer to inspire and facilitate millions of people in their creative flow every day. Product designers work side-by-side with engineers and a product manager in a product team. These teams work autonomously, owning their part of the experience. Product designers are responsible for the design of that experience and they act as a creative and strategic partner for their teammates. The work is supported by a range of specialists to make sure design decisions are well-informed and that teams have everything needed to take WeTransfer to the next level. We take pride in building tools that enable creativity to flow and ideas to be shared. This has shaped the experience we’ve built, the way we work, and how we view our organization. Through our monthly Innovation Fridays, anyone in the company can work together to explore that outlook and what’s next for WeTransfer. What you’ll be doing With your feet firmly on the ground and your hands in the dirt, the foundation of your role will be that of a seasoned designer on one of our product teams. Here you will lead by example by leveraging your skills and experience to raise the bar for product design at WeTransfer. A key responsibility of the Lead Product Designer is mentoring the design team in honing their craft – ensuring we are solving the right problems the right way, across product teams. This includes taking a leading role improving the design workflow and team dynamics to help the design team perform well and execute on its vision. You are naturally committed to create and maintain a safe and inspiring environment where informed creativity thrives. When we’re looking to add new people to the team you’ll coordinate the recruiting process in collaboration with our People Ops Manager. You’ll also function as a connective tissue between the VP, the design team, and Leads in related disciplines. Together, our objective is to successfully deliver a coherent, easy-to-use, and delightful set of products that create real value for our users, and as a result for the business. What we’ll be looking for Experience in product teams at similar companies – scale-up companies using agile methodologies in cross-functional teams. A portfolio that speaks volumes about your talent, skill, and experience. You’re a master in your craft – experienced with IA, UX, research, visual design, and prototyping. A knack for developing talent: having a solid sense of people’s intrinsic drive, skills, and potential to mentor designers in their craft & career, and to recruit new talent. Being a driving force in team ops, e. g. evolving team rituals, critiques, the design system. Effective communication. Whether its staying and keeping people in the loop, explaining an approach, giving and receiving feedback, or advocating for design within the company – being a great communicator is a critical skill in our highly-collaborative environment. A full professional proficiency in the English language is required. Balanced decision making: devolving decisions to empower the team as much as possible, and being a confident decider when appropriate. Opinionated and constructive about our design direction: playing a central role in translating high-level visions and goals to UI. WeTransfer is part of the creative community and so are you — broadly interested in tech, culture, and the arts. You love to learn, unlearn, and relearn. In this rapidly changing world, it’s imperative to keep evolving. Diversity. Our products are used by all kinds of amazing people, from all over the world. We actively look to have the wonderful diversity of all the people that use our products reflected in our teams. This role is based in our Amsterdam office. You should either live within a commutable distance, or willing and able to relocate (we’ll help you make the move, some conditions apply for visa applications). Get in touch with us if you’re committed to raise the bar in the creation of meaningful products, used by millions of people every day. .
At Voice123 we create the future of the voice-over craft and we’re currently looking for a senior full-stack engineer who’ll take our web application to a whole new level. Your mission will be to accelerate front-end development, improve application performance and leverage good practices and methodologies. Are you up for the challenge? Working remotely At Voice123, we are used to working in a distributed manner, so this role is open to professionals anywhere in the Western Hemisphere. While you can work from home, you can also work from a co-working space of your choice. We'll pay for it. Show me the money Because we value transparency, your compensation will be USD 50000 per year, depending on your knowledge, experience, and performance during our selection process. Your mission Develop, integrate, and improve UIs related to upcoming versions of our product; Consistently deliver ongoing improvements to Voice123’s web application to guarantee our users memorable experiences in terms of performance, UX, and appearance; Communicate with different business units and align the technical aspects of the design, interface, and performance of our product; Propose and execute architectural and product changes that accelerate development and the overall user experience regarding performance, usability, fluidity, and platform stability. Competencies and requirements 3+ years of relevant experience as a frontend developer; An artful eye for design; At least 5+ years experience in software development (backend and frontend); A passion for product design; Knowledge Typescript, unidirectional UI architectures, and web mobile; Experience or knowledge of product management and user experience design; Being able to set ambitious goals and meet project deadlines; Ability to work in interdisciplinary teams; C1 level English certification. Soft-skills that might help you: Meticulousness: the ability to deliver memorable customer experiences by paying considerable attention to detail. Ideation: the ability to propose ideas and enhancements that will contribute to the improvement of the application’s UI/UX. Career path We also expect at least a three-year job commitment from you. At the end of that period and equipped with the knowledge and experience gained, you'll be able to fulfill any of the following roles, either at Voice123 or elsewhere: Tech Lead Product Manager Founder of your own business Right after you join, we’ll agree on your tour of duty, which defines a successful employer-employee partnership: You devote your time and energy to Voice123 with the goal of growing our company; we invest in your personal and professional growth so that when the time comes for you to leave Voice123, you'll have the tools, experience, and network to achieve equal success elsewhere. Perks Flexible vacation time; Depending on your country of residence, paid health insurance; Equipment; Working alongside a group of entrepreneurial, motivated, diverse, and curious professionals. Diversity Since we’re a global and inclusive company that truly believes in diversity and equity, you'll be connecting with a host of different people from different places with different interests, cultures, and languages. From managers to interns, we aim to provide a fully multicultural experience and offer far more than just a working environment. We also pride ourselves on no discrimination whatsoever. About Voice123 At Voice123, our mission is to define the future of the voice-over craft and lead where others follow. We believe both our voice actors and clients will have an amazing experience using our service. 14 years ago, Voice123 pioneered online voice casting by creating the first platform of its kind that could help voice actors start, consolidate and build a successful, life-long career. Nothing has changed. Our team is totally committed to helping our actors and clients succeed. . Build campaigns for bold causes. The role In this role, you’ll craft brilliant and impactful digital campaigns for a range clients in the nonprofit, advocacy and brand sectors. Key responsibilities: Develop cross-channel digital communications programs that seek to grow and mobilize communities of donors, members, issue advocates and brand loyalists. Develop creative concepts and translate them into succinct and effective copy for email, web and more. Oversee and contribute to the production, delivery and QA of major email programs (as well as social media content, paid media content and web pages on a more limited basis). Work closely with designers, analysts and paid media planners to build, test and optimize campaigns. Pitch concepts and present plans to client stakeholders. Maintain deep knowledge of social/political/economic issues that impact your clients as well as continual education within your discipline. Stay aware of the latest digital trends and develop a POV on how/whether our clients should take advantage of them to push their programs forward. The team Our Content and Campaigns team is made up of talented writers, fundraisers, and internet obsessives. Our resumes boast diverse backgrounds in advertising, political campaigns, journalism, nonprofit marketing and much more. Writing great copy is at the heart of what we do, but we are so much more than copywriters -- we code emails, develop campaign strategies, brainstorm creative, develop testing plans, collaborate with designers and are never above a terrible pun. In short, we have a lot of fun while helping our clients change the world. The top things we're looking for 5+ years in digital marketing, campaigning or organizing Impeccable writing skills Knowledge of basic HTML coding Familiarity with email tools such as Marketo, Watson Campaign Automation, Luminate, BSD Tools or similar Methodical, problem-solving mindset and attention to detail Team player with the willingness and ability to lead Self-starting and flexible; ambitious yet humble approach A shared passion and curiosity for making change. This includes comfort with ambiguity, a restlessness that resists the status quo and a commitment to quality that ensures we’re always making progress. Empathy, communication, respect and the ability to act as a role model at BSD Experience with nonprofit fundraising and marketing a plus! Cover letters are required for consideration for this role The company Blue State Digital is a purpose-driven creative and tech agency. We transform how brands and causes engage their most important people. From Google to UNICEF, from Obama to MIT, from Tate Modern to Ford Motor Company, Blue State Digital helps grow communities, build platforms and transform organizations for the digital age. Led by the most creative and analytical minds from the political, nonprofit and brand worlds, Blue State Digital is a part of WPP Digital and has more than 200 employees in six offices around the world. . Us We’re Cosmic – a creative marketing agency specializing in social purpose brands. We’re on a mission to help brands with a social purpose play at the same level as their profit-driven competitors. With deep roots in our community, our studio is in the heart of downtown Santa Cruz, CA. A bit about us: We focus on strategy+design+technology. We value in-person collaboration. So, you’d work in our Santa Cruz studio. It’s a modern, light workspace within walking distance of restaurants, taprooms, and cool local shops. We work a 4-day week and believe that good work is sustained through true work/life balance. Our team has a broad spectrum of interests. Our culture’s defined by an appreciation for social good, design, music, coffee, craft beer & food, outdoor adventure, amazing film & TV, soccer, and finding the perfect animated gif to express our thoughts. You Cosmic is looking to add an outstanding UI Designer to join our team. If the following description sounds like you, then we’d like to meet. Exceptional ability to translate high-level concepts into visual designs Strong familiarity with modern design aesthetics and patterns for web and app design Strong ability to translate brand visuals into web and app designs Strong understanding and appreciation for color, typography, and composition Strong understanding of mobile & responsive design Strong ability to create icons, illustrations, and supporting visual content for web and app designs Solid understanding of modern web technologies and workflows Ability to work directly with developers to implement designs and provide assistance during design handoff Ability to defend and explain your design work to other team members, Creative Director, and clients Solid understanding of designing for dynamic content Strong ability to present your ideas and designs to internal team and directly to clients Able to work with in a fast paced sprint cycle where new work and iterations to previous work is presented to the client on a weekly basis Good communication skills, a positive attitude, enjoy working in a central, visible downtown location with an open studio space Enjoy in-person collaboration and respects other team members opinions and perspectives Experience in either a creative agency or the internal design department of an established company You’ve got to be into beautiful design and awesome user experiences to be a good fit Perks & Benefits We work a 4-day work week (32-40 hours per week). Enjoy 3-day weekends every week! 401k Plan + employer contributions after a year on the job. 2 weeks paid vacation each year. 5 days paid sick time each year. 5 paid holidays each year, plus the Studio closes for the last 2. 5 weeks of the year as an additional long paid holiday. Studio located in downtown Santa Cruz, CA. Beer from local breweries on tap. Join a humble, collaborative team. To Apply Send a cover letter, resume, and link to your portfolio to jobs@designbycosmic. com. .